Having daughters means having to do their hair. Ponytails, braids, buns, and all those other funky-cool styles they beg you to do before trotting off to school mean you need hair ties. 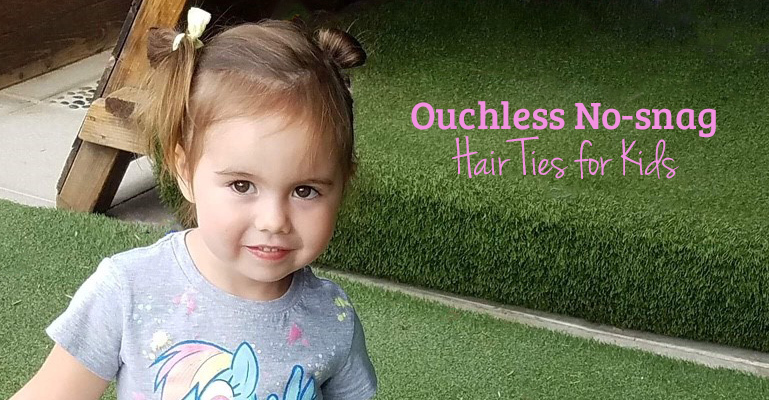 Regular hair ties, even many of those so-called "kids" one's snag, pull, and rip hair. It can lead to lots of tears and damaged strands. Any mom who has ever had to cut a tangled-up hair tie out of her daughter's hair knows this all too well. And what about those hair rubber bands? Eek! Cringe every time your daughter puts those other hair ties around her wrist, leaving indentations and marks and cutting off her circulation? That doesn't happen with Cyndibands because of the gentle fabric material. Plus, they make the cutest accessories and come in countless colors. Cyndibands Minis are just like the regular Cyndibands, only mini-sized for your mini-me. They're made from the same soft, gentle and stylish elastic ribbon with non-fraying ends just like the big ones. They also come with the signature knot so you can adjust the size to make it tighter or looser so they will always be a perfect fit no matter how thick or thin her hair is. Cyndibands Minis are not only great for kids, but grown-ups can wear them to secure braids. With Cyndibands Minis, girls can wear their hair up fabulously with less fabric and fewer twists to secure that perfect ponytail. Go ahead and do the up 'do's worry-free. Even if she decides she wants to take her hair down in the middle of the day, she won't wind up with a tangled disaster. Cyndibands Minis come in fun colors that girls love. The rainbow set is too cute for words, perfect for your Little Miss Sunshine. They also come in multi colors and neutrals. They make great gifts too! Cyndibands Minis can be purchased with an adorable tin that you will want to keep to store your hair ties. Throwing a birthday party? Give the girls a real goody in those goody bags with Cyndibands or Cyndbiands Minis! They're fun, functional and stylish, so girls love them. 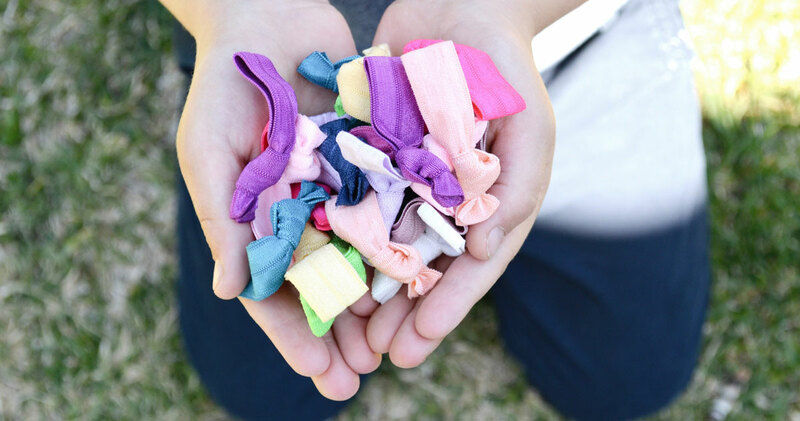 Cyndibands knotted hair ties and Cyndibands Minis make hair styles fun again for girls big and little alike. 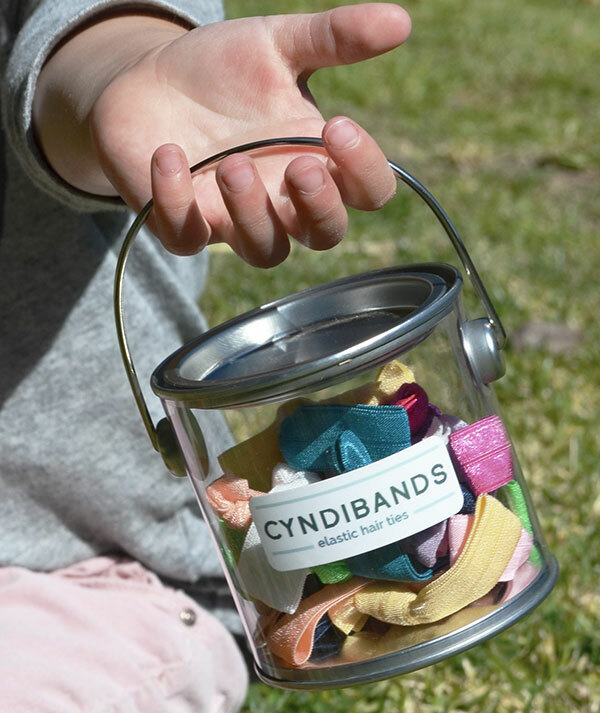 They make it fun for moms too, so get your Cyndibands and Cyndibands Minis and start freeing your hair from the tangles, tugs, tears, and damage that other hair ties do to your 'do's!